Ducks and water. Birds and sky. Squirrels and trees. Some things just fit their environments perfectly. 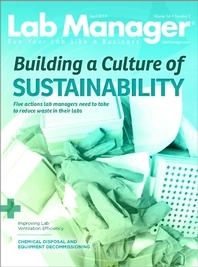 Similarly, with their technological savvy, millennials could be considered the perfect fit for the laboratory, according to the lab managers we spoke with. Employment of millennials, defined as those born between 1980 and the early 2000s, has been a major trend in the workforce as they replace retiring baby boomers, and much has been written about the myths surrounding them, such as their sense of entitlement, lack of loyalty, and desire that their jobs be more than just a source of income. Most of the hundreds of articles on the Web that focus on millennials suggest these stereotypes are just that, stereotypes, and it all comes down to properly managing this generation to get the most out of them. Clinical lab supervisor Brandy Blackburn agrees, pointing out that, while there are some commonalities in most millennials, staff members are still individuals and have their own strengths and weaknesses that don’t always line up with the main pros and cons of their age group. However, in managing millennials in her lab, she’s seen a few similarities across this age range. Blackburn agrees with Longoria that millennials’ comfort with technology and automation is an asset in the lab, along with their communication and teamwork skills, their easy accommodation of change, and their tolerance of diversity in the workplace. Another positive, which can also be a negative, however, is millennials’ directness. Longoria and Blackburn say there are some things they do differently with millennials, but as far as managing this particular group is concerned, overall their management style is pretty similar for all groups in their labs. Longoria’s organization took proactive steps to prepare for the expected retirement of baby boomers in her lab, putting management through generational training because they knew many of the vacancies would be filled by millennials. She adds that taking the time to listen to millennials is important, along with providing feedback and recognition, to get the best work out of them. For example, her lab has a token program where employees who do a particularly great job receive a token to reward that effort. In her experience with millennials, Blackburn, a Gen Xer like Longoria, has also noticed that they tend to require more positive reinforcement than do workers of other generations. Connecting with staff on an individual level is something Longoria believes is important when managing all employees, not just millennials. In her case, Longoria’s love of music is something that helps her connect with staff members of all ages, because her taste is so varied. As far as some of the cons of managing millennials go, Blackburn has found that they can tend to share too many personal details, and although they are skilled at using technology, “they tend to have very little interest in the programming or mechanical aspects behind it.” She adds that they don’t seem to have the same kind of loyalty to their employers as do workers of previous generations. However, she doesn’t see these flaws as a total disaster for the lab. Longoria admits that she did have an issue with that perception of entitlement when she first started working with millennials, until she gained more understanding through generational training. With continuing advancements in lab technology, including mobile access where lab technicians can check up on lab instruments from home, and an increased focus on efficiency and lean processes, millennials seem perfectly positioned for the lab of the future. Longoria adds that millennials have had a hand in altering the landscape at her lab, but the manager’s role is still important in making the most of their ideas. She adds that lab managers shouldn’t view any flaws in the millennial generation as obstacles or challenges if they want to maximize the potential of those employees. With freezers and fume hoods running nonstop, it’s no surprise that lab facilities hog more resources than do most other workspaces. 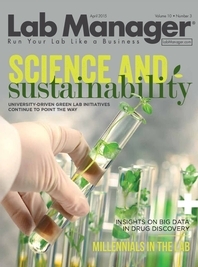 Big data might bring more benefits to drug discovery than to any other field. For one thing, discovering a new drug turns out to be incredibly difficult. On average, a pharmaceutical company tries about 10,000 drug candidates for every one that ends up on the market. Plus, the process of discovering and developing a new drug costs hundreds of millions of dollars and takes more than a decade—some say more for both measurements.